Welcome to Art of Folk. A website exploring the links between Art and the Folk narrative. 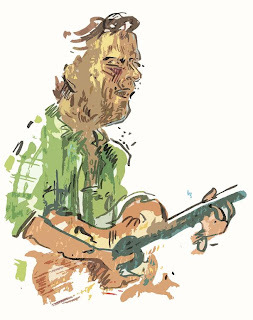 We're starting with a painting that was sketched live at Twickfolk on 1st July 2012. Chris Sarjeant was playing songs from his recent release 'Heirlooms' at the popular Folk venue. 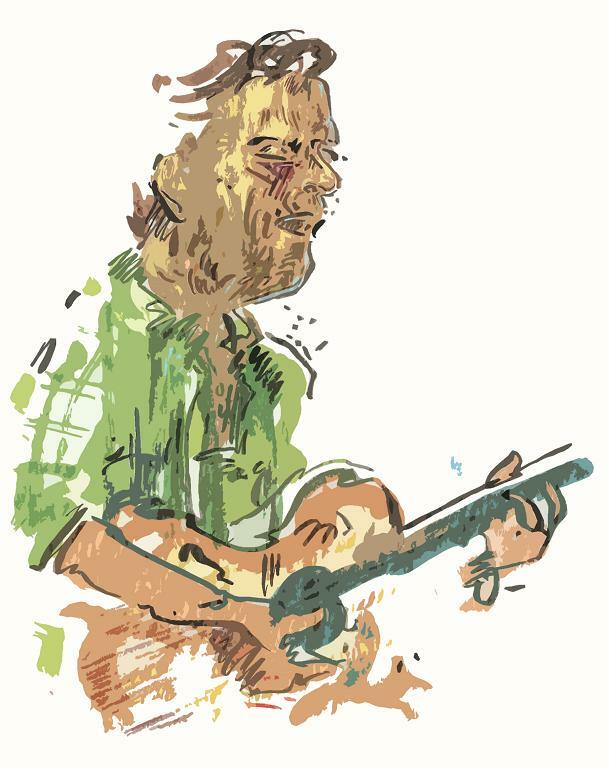 Artist Alban Low has recently taken up (Art) residency at Twickfolk and we'll be bringing you the work he's doing with the musicians who play there, aswell as what's going on in the Art Folk scene. Where working towards an exhibition in 2013. More details to follow.